CNN chyron: GOP “pushing” Ford to attend hearing. Didn’t her lawyer say on national television that her client was willing to testify? R’s have offered open or closed session. As for the latest talking point about the necessity of an FBI probe, the Bureau has no jurisdiction, no mission to investigate, and has explicitly said they aren't launching an investigation. Even local authorities looking into the matter would have no alleged crime scene to visit, or even a month in which the attempted assault is said to have taken place, roughly 36 years ago. We already have public statements from the accused, the accuser, an alleged eyewitness, and another potentially-relevant witness, identified by the accuser. We have a detailed letter laying out the allegation, and additional context offered by the accuser to the Post. In other words, we have everything we need in advance of a hearing. Demands for an "investigation" prior to testimony seem unserious, and look very much like a political delay tactic. Meanwhile, Sen. Feinstein is absurdly blaming the media for 'outing' Prof. Ford. 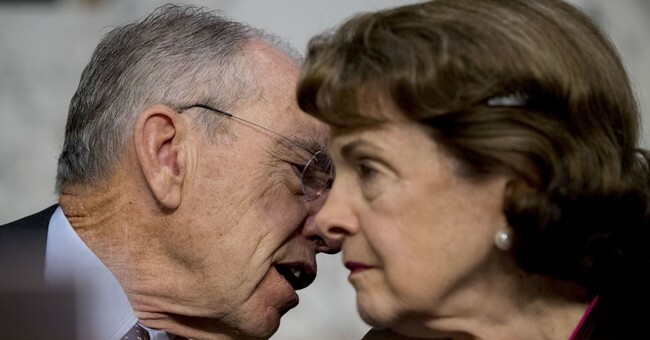 Pray tell, Senator, how ever did the media get wind of Ford, her allegations, her identity, and her contact information? "100 percent confident"? How? All the factors we've mentioned -- distant history, no known time or place, hazy details, etc -- cut in both directions, right? If you're inclined to believe that Team Kav has got the goods, it would have to be some sort of proof that Ford is withholding some key information, or a convincing indication that she's fingered the wrong guy. If you're inclined to be cynical, and this whole process has bred cynicism, you might wonder if this is a bluff designed to convince Ford not to testify (thus likely securing Kavanaugh's confirmation). I've gotten to know Ed Whelan and Leonard Leo a little bit, and I'd be surprised if they were leaking and over-promising unethically. The rest of us will have to stay tuned and find out, I suppose. Will she testify? What, if anything, do Kavanaugh's allies have? Such suspense.